Very simply, Integral Yoga means bringing the mind, the body, and the breath together into the asana practice. In this way we find that Yoga is most beneficial when we can bring a deeper awareness into what is happening within the body. When we become more tuned in to the body’s energy centers, we become more mindful of what is happening at the subtle level, both physically and mentally. The organs and the glands are massaged through the poses, releasing toxins. On a muscular level the body will expand and your flexibility will increase. You will fortify your bones and strengthen the muscles around the bones, increasing your stamina. And, you will become more conscious of releasing those thoughts and emotions that may be causing you to feel stuck in your life. You will become more open to the experience of yourself and the world around you. The yoga session begins with sitting quietly for a few minutes, becoming aware of the breath and the how the body feels before the asanas begin. We take the time to first recognize where there may be any tension or soreness and learn not to push it away but gradually allow it to release through the practice. We take the time to recognize that the yoga practice is most beneficial when you are not judging or competing with yourself. We will then come up and do the standing poses. 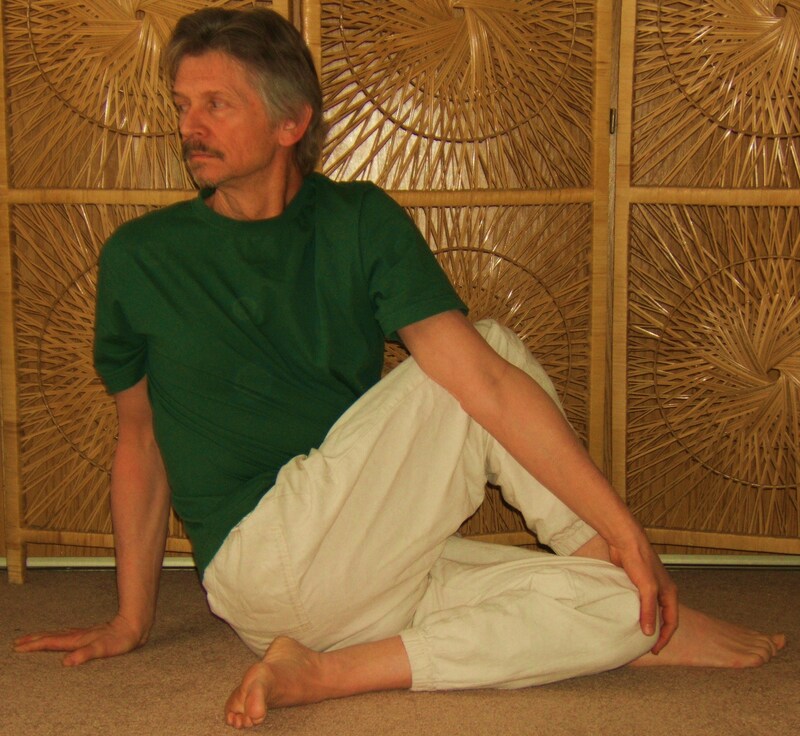 Coming down on the mat we then engage the body in backward bends followed by seated forward bends. This is followed with a few inversions and twists, depending on what is comfortable for you. We then ease into Yoga Nidra, the guided, deep relaxation in Savasana. The practice ends with a calming breathing practice. There are many classes open to the public during the week. See the class schedule page. Or you can choose the option of a private class with a time that works for you, a 60 minute class or a 90 minute class. For more information on private yoga classes visit the rates and services page. You can ask for a private one on one session or reserve a class with a friend or with a group. The classes are priced according to the time and the amount of students. The class can also be as gentle or as challenging as you wish. If you are disabled or need to do a class completely from a chair we can do that. I have worked with people with MS, people with osteoporosis, cancer patients, and the developmentally disabled. It is your body, your mind, and your yoga practice. We will do what works best for you. I know from 44 years of practicing yoga and 22 years of teaching that absolutely everyone can do yoga. Every pose can be adapted to your level.